Scam? Ice Isn’t Melting As Predicted At The Poles, Yet Big Insurance Hikes On Coastal Properties Loom! Study: Melting sea ice could help cool the planet by flooding the atmosphere with particles that deflect sunlight. - The study wa published by the American Meteorological Society. Australian research suggests climate modelers have underestimated a natural “thermostat” that helps alleviate the rise in temperatures: immense quantities of reflective compounds, emitted by marine microbes, that act like a handbrake on global warming. 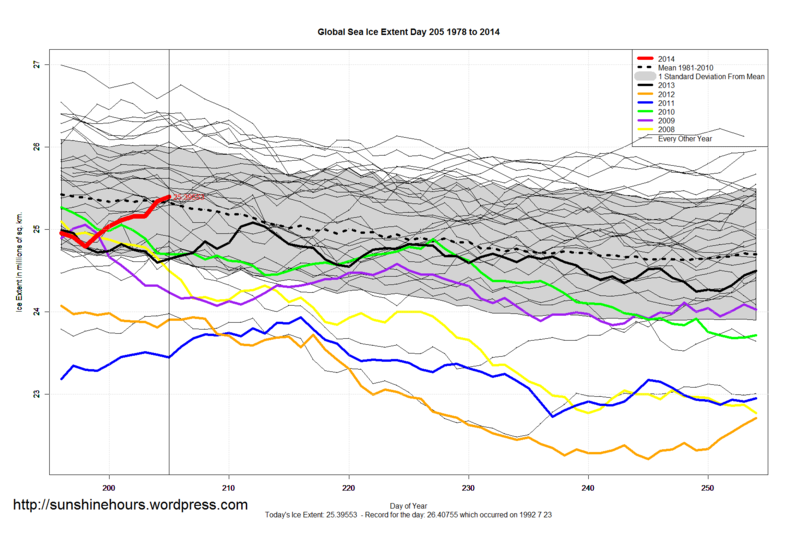 Arctic Sea Ice UP 50,000 sq km! National Review: Global Irony: Warming theory gets trapped in Antarctic ice.